MEDFORD, Ore. – Three Rivers HomeCare has opened a new branch agency location in Medford. The new full-service home health branch – Southern Oregon Home Health – was established to better serve the needs of patients in Jackson County. Southern Oregon Home Health will continue the commitment to deliver high quality care in the comfort of home through a local staff of highly trained home health professionals. The new agency is located at 830 O’Hare Parkway, Suite 104, in Medford. Home health care is an effective and affordable solution for many patients’ post-acute care needs and situations. Home health professionals treat a wide range of medical conditions, allowing patients to rest and recover in the comfort of home. 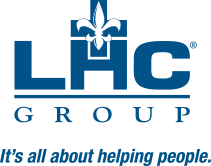 Three Rivers HomeCare and Southern Oregon Home Health are part of LHC Group, a national provider of post-acute care services.